This is Paca, the paca. 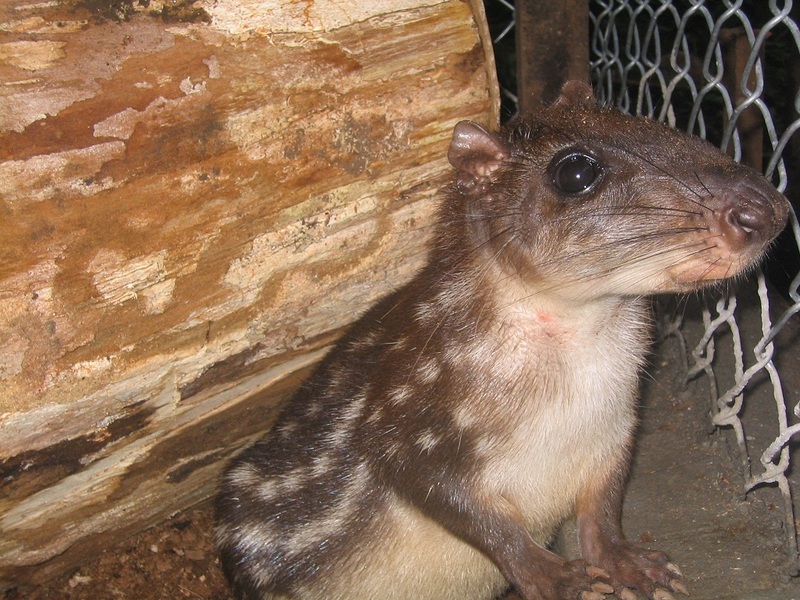 The paca has become rare or extinct over much of the country due to habitat loss and hunting. 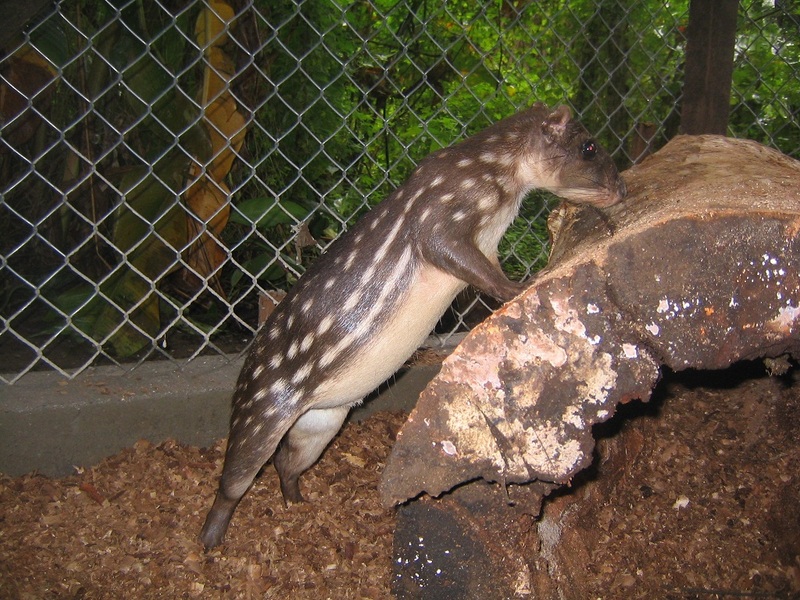 Widely considered the best tasting mammal in Costa Rica, it is the number one target of most hunters. Pacas are relatively easy to hunt since they show little fear toward people (their well-used trails can make dens obvious) and their strategy of running a short distance and then sitting absolutely still when attacked, does not work well against hunters and dogs. Paca was found with a damaged eye and a hurt leg. She completely cured but is just not so fast anymore and therefore an easy prey for hunters and other animals.